Losing three of their first four games to start the 2006-2007 season, many New York Islanders fans don’t have much to smile about these days. 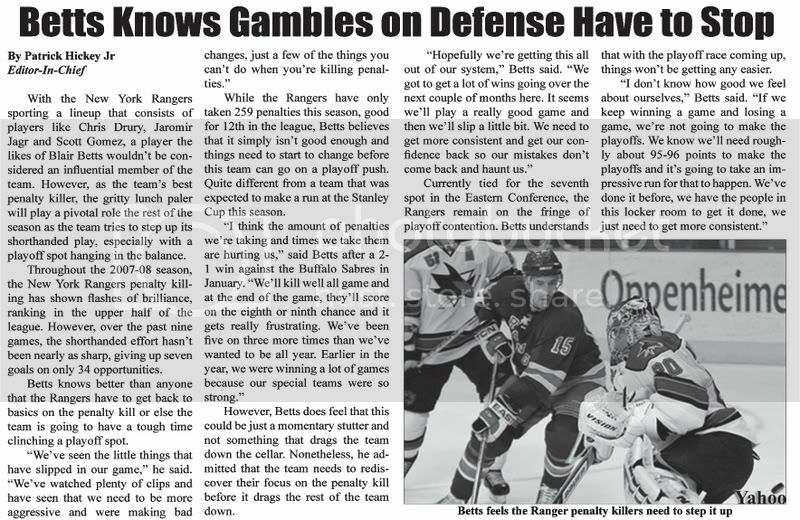 The team’s lackluster play over the first few games of the season has induced a myriad of concern, questioning everyone from new head coach Ted Nolan to Islanders goaltender Rick Dipietro, who has looked shaky through his first few starts, making many more question his new 15-year contract. However, the return of long-time Isles play-by-play voice Jiggs McDonald feels like being reunited with an old friend for many stay at home fans of the blue and orange. Filling in for Howie Rose while he’s off doing the play-by-play duties for the playoff games of the New York Mets, McDonald has picked up right where he left off prior to leaving the Isles eleven years ago, providing each Islanders telecast so far this season with an aura of professionalism and grace that hasn’t be heard since he left. For many Islander fans, McDonald’s voice reminds them of better times. Calling three of the team’s four championships and some of the most important and tragic moments in the Islanders history, including the infamous Dale Hunter cheap shot on Pierre Turgeon, that many believe cost the Islanders a shot at the Stanley Cup in 1993, McDonald’s name will forever be synonymous with the great days of hockey on Long Island. During his 15 years with the Isles from 1980-1995, McDonald’s insights and ability on the microphone provided the audio for the dreams of countless young hockey fans that were amazed at how smoothly and eloquently he could call the fastest game on earth. Considering how the entire Islanders fan base held McDonald in such high regards, you might expect the emotions felt by fans when he was replaced by former Rangers radio voice Howie Rose in 1995. It may have been a little rough at first, but Rose eventually became one heck of a play-by-play man in his one right. 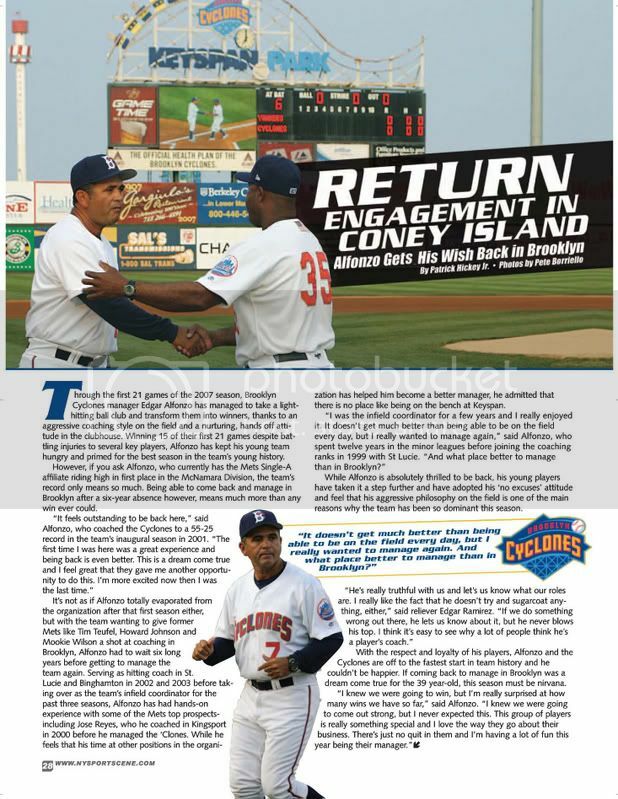 However, the departure of McDonald signified a change in the guard, as far as Islanders history was concerned that deeply affected its most dedicated fan base. Gone forever was the clutch goaltending of Billy Smith and the great play making ability of Brian Trottier and Mike Bossy, it was time for a new page in the team’s history to be written. Unfortunately for Islander fans, it was history they wish was ancient. Despite the great job Rose has done with the Islanders over the past 11 years, going as far as to win an Emmy for his work with the team, he’s not Jiggs McDonald and doesn’t represent the reputation the team once had when they were the most dominant team in North American sports history. So for the time being, many Islander fans, despite their modest feelings towards Rose, will become ardent Mets fans throughout the rest of October, hoping to hear the voice that called Mike Bossy and Bryan Trottier goals, call ones by Trent Hunter and Miroslav Satan just once for good old times sake, desperately trying to relive their youth and hang on to the rich history of a former phenomenal team and franchise that feels long since forgotten. Patrick Hickey Jr. also has his own new Islanders site, TheDriveForFive.com, where he is chronicling the Islanders 2006 season. The site is also updated everyday, so check it out!